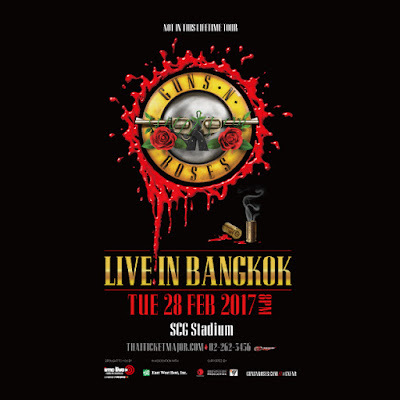 Arguably the most successful Rock band of all-time, Guns N’ Roses had confirmed that they will be making a one last stop in Southeast Asia and it will be in Thailand, Bangkok. The band is set to rock the soul out of Bangkok on 28 February 2017 at the SCG Stadium, Bangkok. The show organiser also said that the concert will satisfy all types of fans from the mainstream ones to the more hard-core ones. With the trailblazing trio of Axl Rose, Slash and Duff McKagan performing together for the first time since the 1993 ‘Use Your Illusion Tour’, fans can certainly look forward for a rocking time at the show. 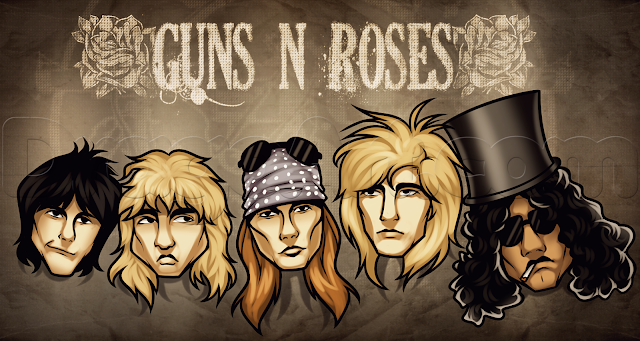 Pushing all differences aside, the band that produced some greatest rock hits such as “Paradise City”, “Nightrain” and the ever memorable 90’s hit “Sweet Child O’ Mine” is back with a bang again and fans who waited for a lifetime to catch them live can now do so. Ticket sales start from today, 17 November 10am and are available to purchase online via www.thaiticketmajor.com.